Or St Rule’s tower to give it its proper name. The tower is part of the church that was built in 1127AD to hold the relics of Saint Andrew, Saint Rule (aka Saint Regulus) is said to have brought the relics of Saint Andrew to the area. 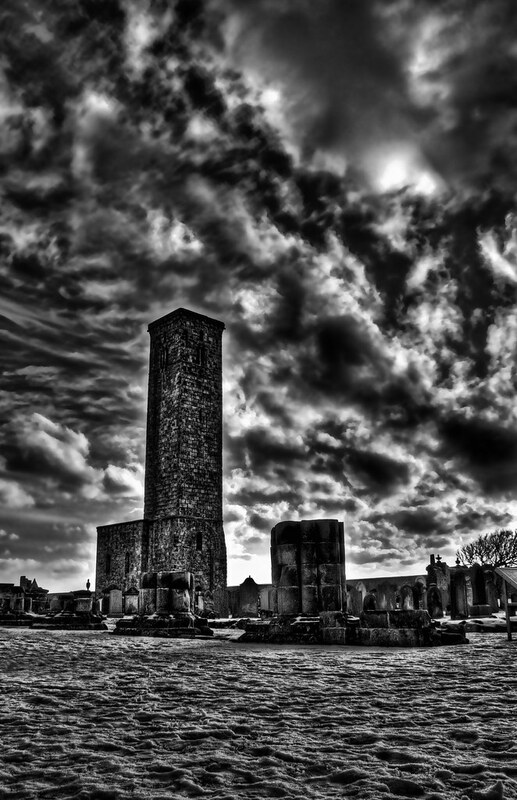 The tower is pretty much all that is left of the church and stands next to the ruins of St Andrews Cathedral. This entry was posted in Medieval, Ruins, Scotland, St Andrews and tagged cathedral, Church, fife, hdr, Medieval, Ruins, Scotland, scottish, skreid, St Andrews. Bookmark the permalink.